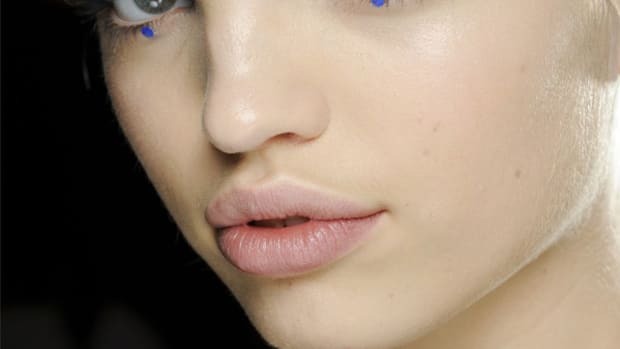 That&apos;s what I&apos;ve learned from closely following runway beauty trends over the years. You see the craziest things on that catwalk and think—really, designers? You really expect me to do that to my face and go out in public? But then, you notice the same trend reinterpreted at the next fashion house, and the next and the next... and gradually, it starts to grow on you. The next thing you know, celebrities are sporting it. And looking kind of good. And then suddenly, you&apos;re embracing the damn thing because it looks SO RIGHT. Such is the case with the newest eyeshadow colour trend: shades of orange, red or pink. Oh yes, you heard me. They&apos;re the new browns and greys. 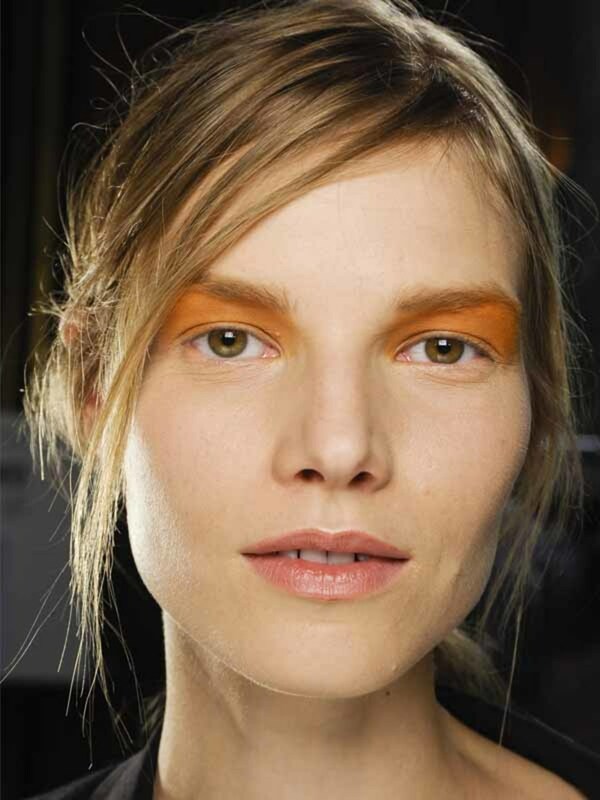 For this fall, Dries Van Noten showcased a bold orange worn all the way up to the eyebrows. Eeks, right? 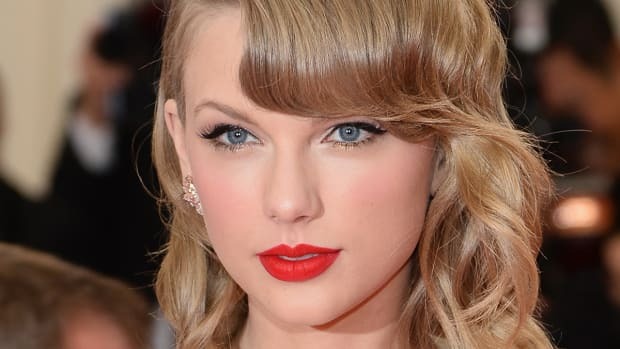 I mean, wearing eyeshadow up to the brows is scary enough without it being also, um, orange. Not even all of us are comfortable wearing that shade on our lips yet. I can&apos;t say I&apos;ve ever considered wearing this colour on my eyes... but hot damn, I AM considering it now. I think this works because of how beautifully the shading&apos;s been done, and how neutral they&apos;ve left the rest of the makeup. 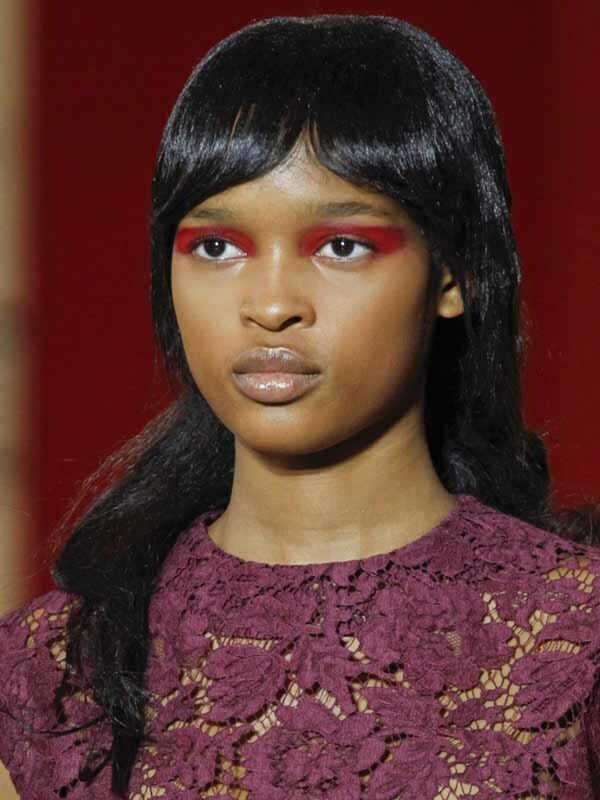 I loved this, but it&apos;s really not something you could ever wear if you aren&apos;t a) a model; b) in Paris; and c) wearing makeup just applied by Pat McGrath. But as with everything Pat does, it DID make a statement, which was that this colour palette is about to hit the big time. ...and this has to be my favourite version so far. Doesn&apos;t it make you wonder why we always do cat eyes in black? I mean, we&apos;re ignoring all those other colours, for Pete&apos;s sake! Urban Decay sent me a fuchsia eyeliner a few months ago and at the time, I put it aside (since I never thought I&apos;d use it). Yep, I judged it. And now, re-aquainting myself with this pic, I&apos;m scrambling to find the darn thing. But I know this is all runway stuff and not real life. So let&apos;s take a peek at how celebs are embracing the trend as of late. I didn&apos;t really like this at first, but it&apos;s grown on me. 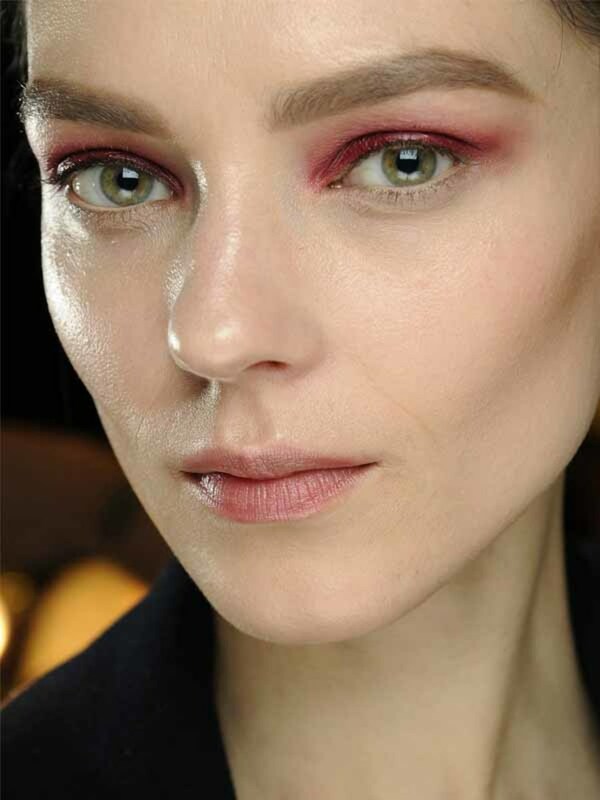 The rosy pink is certainly an easier shade in which to wear the full-blown, up-to-the-brows technique as compared to the Dries Van Noten version. The shadow also looks surprisingly nice paired with lippie in the same colour. Who knew?! OMGorange. Unfortunately, it&apos;s iffy on the runway and even iffier on a (gorgeous) celeb. So on the likes of you and I? Probably a no. Bronzey pink worn all the way around the eyes and grounded with heavy black lashes and liner. (But of course she would do that.) Still, it&apos;s a good trick to keep in your pocket with ANY eyeshadow colour. 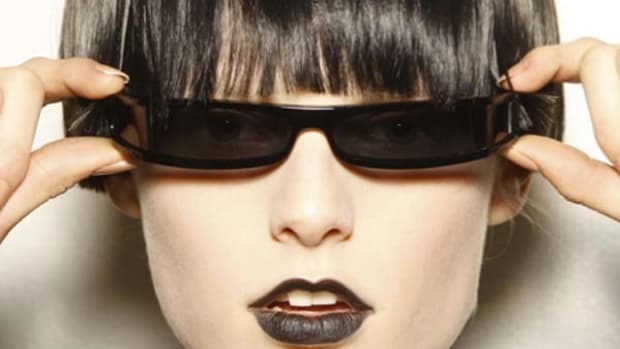 If you think you&apos;ve gone too far (or too bright), slick on the black mascara and liner, and see if it doesn&apos;t make the whole thing 10 times more wearable. Are you a fan of these new shades for eyeshadow—or do you think they belong strictly on the lips? Which are your favourite runway and celebrity interpretations?